Nicole teaches weekly Sea Change Yoga trauma-informed classes to Veterans and their loved ones through a partnership with Easter Seals Maine. Nicole was first introduced to yoga while living in San Francisco and working as a Substance Abuse Counselor and Case Manager to adults who were on parole, mentally ill and struggling with homelessness. After seeing the positive changes it brought to her life and to her clients sense of well being, she began a regular yoga practice. After leaving her work in the field of recovery to become a mom, she continued to be drawn to the idea of teaching yoga to those who had barriers to accessing a regular practice. Nicole completed her 200 hour RYT training through Portland Power Yoga in 2012. Since then, she has studied under Josh Summers, Beryl Bender Birch, the teachers at the Shiva Shakti Yoga School and Margo Rosingana, among others, to become certified in Yin Yoga, Yoga Nidra, and Restorative yoga. She has also trained with Yoga Behind Bars and has received numerous hours of Trauma Sensitive Yoga training. Nicole also received her children’s yoga teacher training through Childlight Yoga in 2012. Nicole teaches with the idea that when you show up to your mat, it is your practice and your body. She guides you through the poses, gently encouraging you to find your edge, breathe through whatever sensations come up in your mind, heart or body. 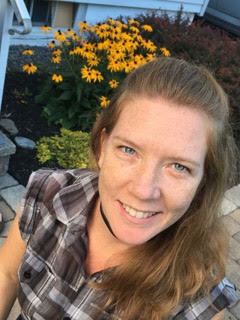 In addition to teaching yoga, Nicole is a certified Reiki Practitioner and IET(Integrative Energy Therapy) Practitioner. She also works as the Wellness Coordinator at Portland Community Squash, teaching both adults and kids yoga and wellness.